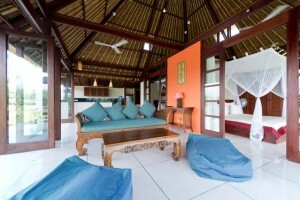 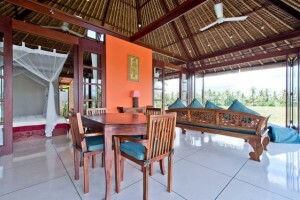 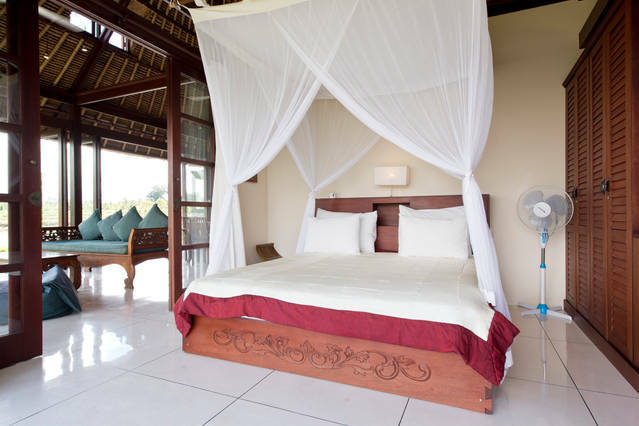 A stunning view over almost 270 degrees is the defining element of Villa Budi. 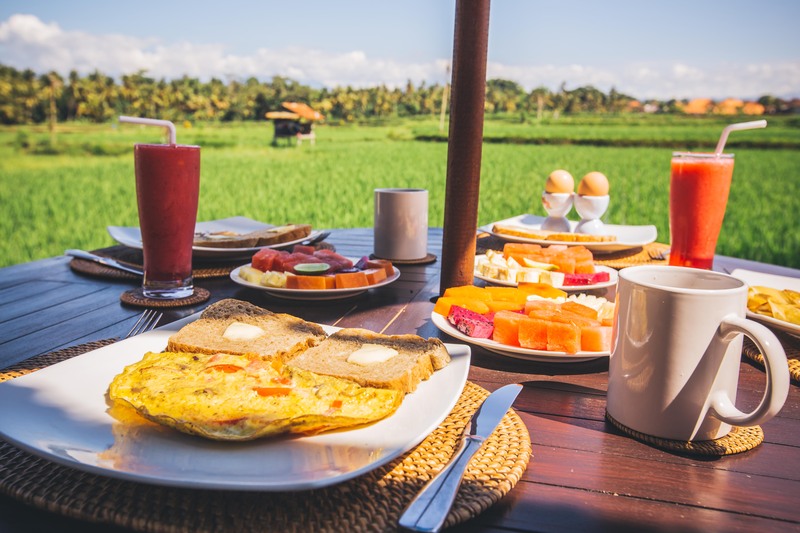 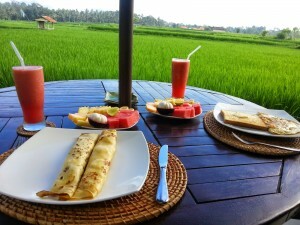 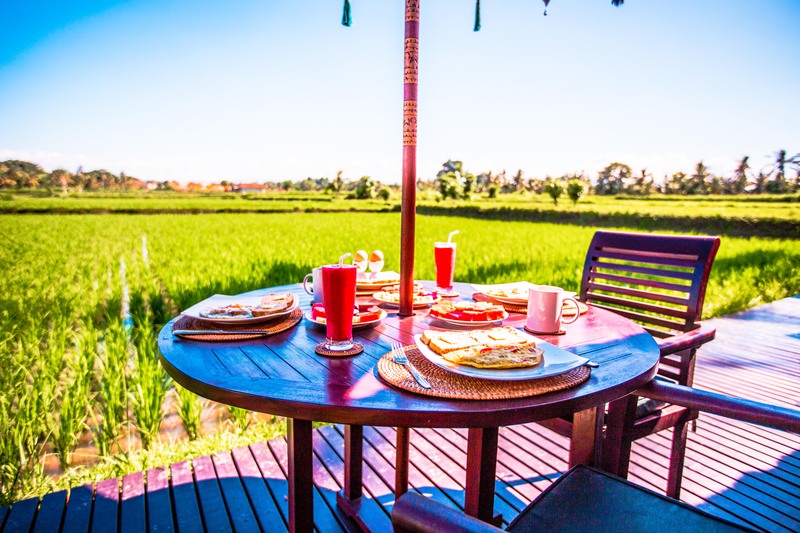 From the rice fields almost due south to the mountains in north and the terraces to the northeast, you’ll live on the huge wrap-around outside decks and soak up Bali into your very bones. 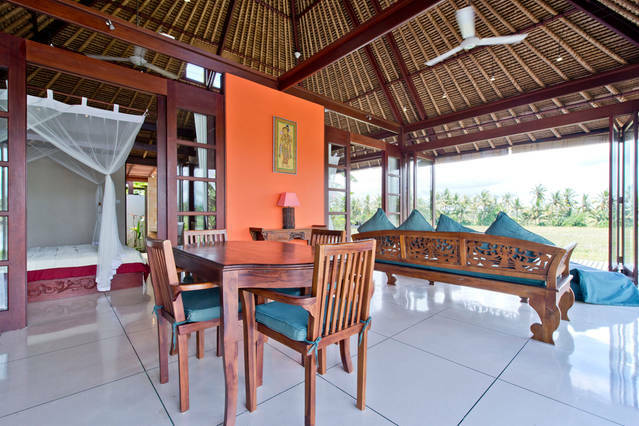 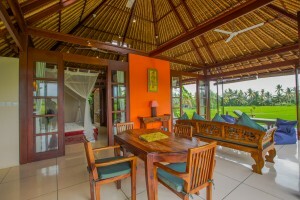 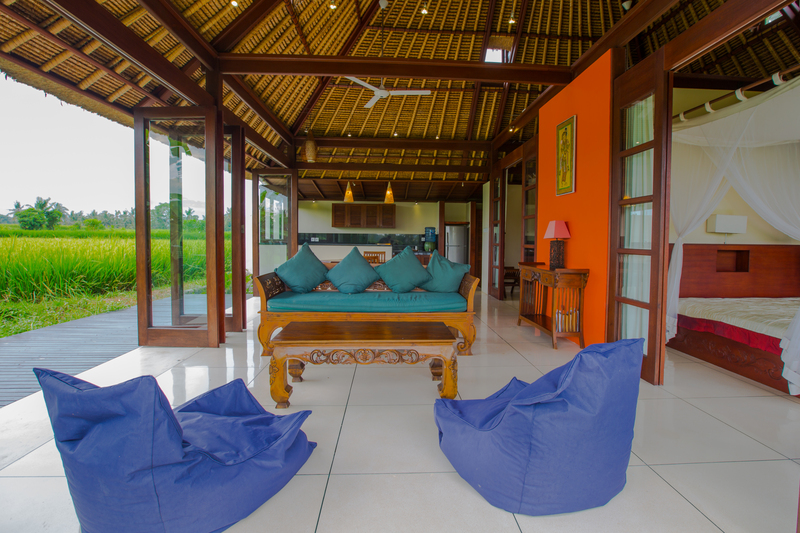 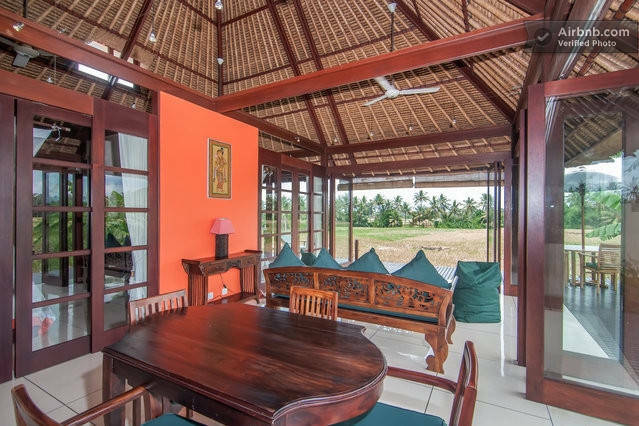 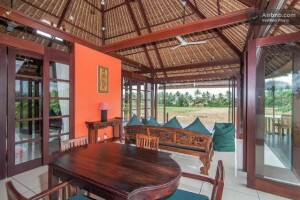 Villa Budi features a lovely entrance hall, indoor/outdoor dining and living areas and a large well equipped full kitchen area with granite counters and lots of storage. 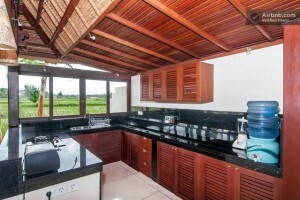 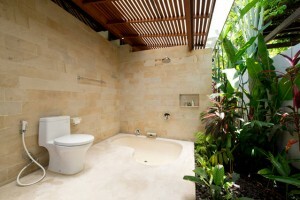 The two bedrooms each soak up the ambiance of the ocean of rice to the west and north. 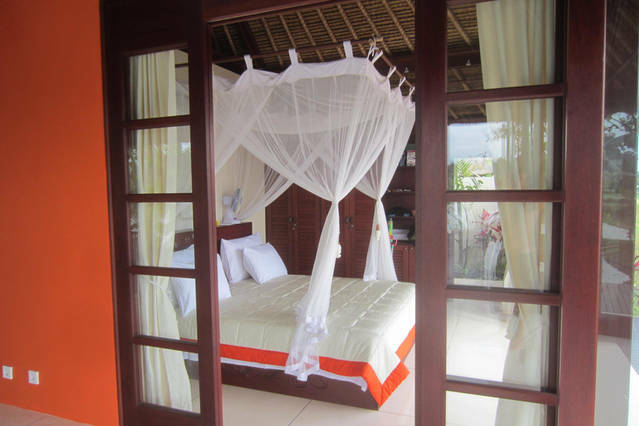 The rear north-facing bedroom has a unique bed design that permits either a queen or two singles and a garden bathroom with spacious rain shower. The front bedroom looks out directly over the rice fields below and its bathroom has both a garden and a full tub as well as rain shower.